Our music has taken us many incredible places and let us experience some amazing things in the past 8 years and people we meet have often asked if we had a plan to get to where we are. I’ve always answered, “yes, there’s a master plan… it’s just not ours”. And so now, with the big week we have coming up, we have a little plan. But ultimately, how the plan plays out is up to God. Valentines Day is this Sunday, the Grammy awards Monday, our little Indiana turns 2 on Wednesday, and on top of all that, our new album was released today. Our very first date was on Valentines day in 2002. The horse-vet clinic Joey worked for at the time, Tennessee Equine Hospital, had a Valentines get-together for their staff and she invited me to come with her. That night must’ve gone pretty well… because two months later we were engaged and two months after that, Joey and I were married. 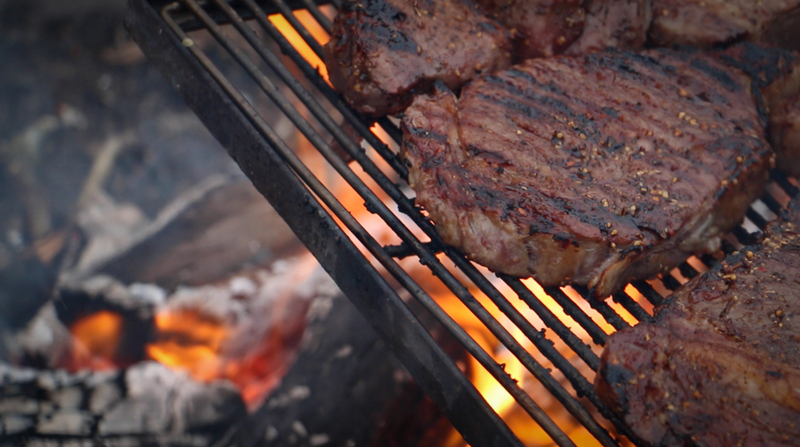 What I really want to do on this, our 14th Valentines together, is share a romantic candle-lit dinner with my bride: grill out rib-eyes on the campfire back home, pour two glasses of red wine and sit across from her at our kitchen table – just like we’ve done on more than one special occasion. But those things aren’t able to happen this year. Neither Joey, nor I, have laid eyes on our farmhouse back in Tennessee since the middle of October. On top of that, Joey’s illness hasn’t allowed her to be able to eat much of anything for some time now and she sleeps most of the days and nights away. So my hope this year instead is to hold her hand and take her on a ‘virtual’ walk down memory lane together… with pictures and videos on my laptop. I want to take her back to where our lives first began together, and relive this beautiful journey that God has taken us on… from that first song she heard me sing at the Bluebird cafe, to the last one we sang together as we stood on stage and took our final bow… to the songs that she will leave behind here on earth and the ones she will soon sing for eternity to our sweet Lord in that heavenly choir up yonder. That, and I’m hoping for a few soft kisses. The passion for each other that Joey and I once had has been replaced by the sweetest, gentlest kisses. I live for those kisses. A few nights later we will again gather around Joey’s bed and turn the tv-in-the-corner on and watch the Grammy Awards – Joey’s mama and daddy and her three sisters and their kids – all of us having a big-time together. We’ll watch the presenters and performances and scan the cutaways to the audience for our daughters and our manager in the sea of people dressed-to-the-nines for the big night. And we will smile at each other and wonder how in the world we got so blessed. How we’ve come so far without going anywhere at all. They’ll be staying with the Welk’s – our good friends on the coast that we made all of our early albums with – and attending all the events that we would’ve loved to have been there for. Representing us. Seeing and even meeting some of their musical heroes and having a wonderful time I hope. And raising a glass and toasting to their mom and dad and this extraordinary, ordinary life we are all living. Joey tried to talk me into going with them… many, many times. She even had a Southwest ticket purchased for me that I cancelled. I can’t leave her. I won’t. I have done many foolish things and made lots of mistakes in my life, but this isn’t going to be one of them. Instead, I will be sitting beside her and cheering on Little Big Town, and Blake Shelton and Charles and all the talented folks who are nominated in our category and others. It’s an honor for us to just be a part of that night, it truly is. The girls have asked me to write something for them to read… just in case. I told them not to worry about it, but they insist. I can’t imagine our names being called. But then again, Joey and I also couldn’t have imagined us being where we are at all… the good parts or the bad. So I will write something. And when she’s awake, I will run what I’ve written by Joey like I do all these blog posts. And she will say “it’s beautiful honey”, and then gently point out the words I’ve misspelled and let me know if I’ve left off something important, or am coming across sounding arrogant or insincere. She’s so smart and good. I might have the words that bring characters to life. But my wife has the character that brings my words to life. That’s a perfect description of the birthday party we have planned for Indy. It’s of course going to be Gruffalo-themed…he has ‘terrible teeth in his terrible jaws!’. My mother-in-law June is going to make Indy a paleo ‘Gruffalo crumble’ cupcake and we’ll have ‘owl ice cream’... and we will do our best to make it the very special day that it is. Our plan is to put streamers up around Joey’s bed and move Indiana’s high-chair in beside her, so Joey can be part of it. So she can watch our little-one eat her cupcake and rip the wrapping paper off her gifts. But Joey is very fragile right now, and so with all of these plans we have, we will need to adjust for what my wife needs. This past September, on a weekend trip back home from the Cancer Treatment Center in Atlanta, we taped the tv special at the concert hall we have in our big barn. Joey was so exhausted, she barely made it through the evening. I actually don’t know how she did. But to watch, other than her already being thin and tired… you wouldn’t hardly know it. She was in all her glory on that stage singing those songs, and it shows. Getting this project made was important to Joey. And I think that’s what gave her the energy and strength to see it all the way through. A month later, in early October… we came back home again and taped the interview with Bill Gaither that is on the dvd. The day after, we were back in Atlanta, finding out the Cancer had spread and there was nothing further the doctors could do. Soon after, we came here to Indiana. Yesterday Joey and I looked at the CD together and talked about how beautiful it is and how if the taping had been a week later… it wouldn’t have happened. It couldn’t have. About how God must’ve known. How He always knows. His timing is perfect. 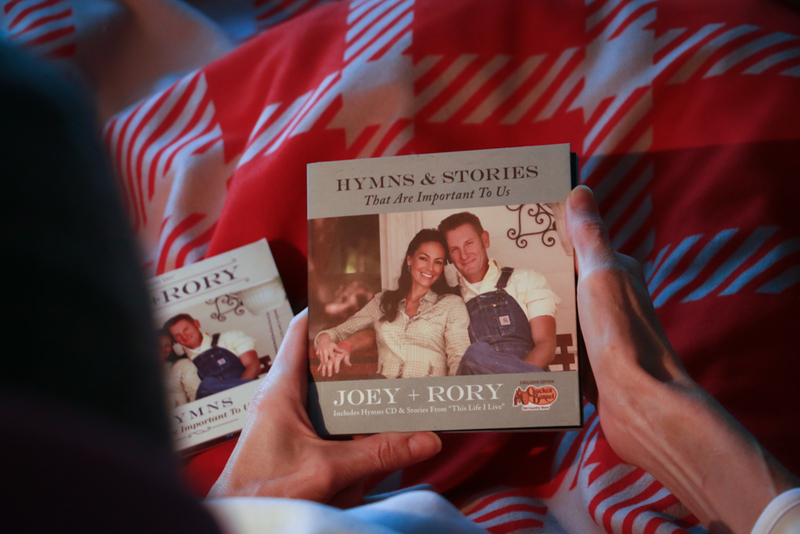 I loved watching Joey looking, reading… holding one this last dream of hers in her hands. There’s a special version of the new record called a ZinePak, that is in Cracker Barrel’s only I think. 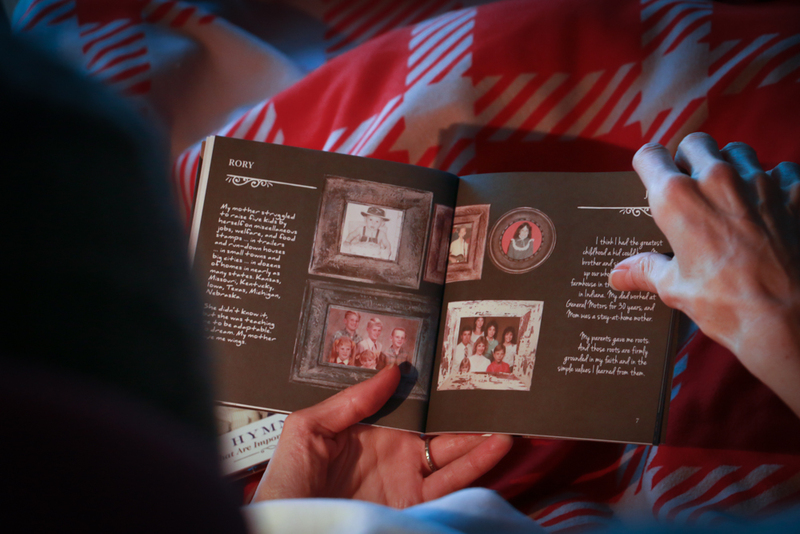 And it has the neatest little page booklet that it comes in… filled with almost 50 pages of stories from our lives and from this blog. Our life story. Our love story. Part of it anyway. Someone shared a link with me yesterday of the complete one-hour Hymns special that is gonna be running on tv around the country. I asked the Gaither folks if it’s okay if I share it and they said it was, so it is here if you’d like to watch it sometime. My wife is so beautiful on the stage, in the spotlight. So full of life and love. I started to watch it last night, but decided to wait. I’m going to watch it with Joey… on Valentines day date night. Yes, I have a plan. But mine aways gives way to His.